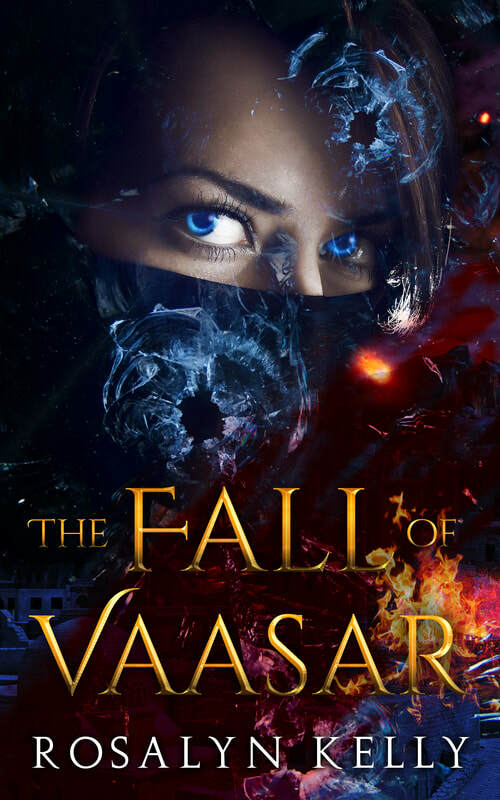 ​Get your copy of my fantasy novella THE FALL OF VAASAR now by signing up to my newsletter. ​Everyone loves a festival in Vaasar. The town is peaceful and the townsfolk relish a good show. But shy Tamza is not enjoying herself. Her father, a celebrated bear tamer, is stepping down and the time has come for Tamza to take his place and perform on her own. Set 2,000 years before the epic fantasy novel Melokai, The Fall of Vaasar tells of the event that sparked a bitter, bloody feud between two countries – a deep wound which, thousands of years later, is still festering. Enter your details below, click subscribe and I'll email you with a link to download the ebook. - You should receive an email immediately. Occasionally my emails go into a Promotions / Junk / Spam folder, so please double check in there. - Please note: by filling in the form and clicking 'Subscribe' you are giving me consent to email you. "Wonderfully written, easy to follow, smooth flowing read with twists and surprises that keep your attention and holds it until the last word. The scenes and characters are so realistic and detailed I got lost in it. I couldn't put it down. Rosalyn's insight and imagination has built a world with the most vivid description that it jumps off the page into life as I read along. The characters are so colorful and full that I was hooked from the start." "I like the more I read in this world built by the Author, the more she expands on a really great fantasy world. She keeps adding new elements I did not expect. You don’t have to read any of her short stories but I highly recommend that you do. It just adds more texture and more layers to an already unique world. You don’t have to read them in any kind of order. They all work as standalones. The Author really knows how to build unique characters, with flaws, with dreams, with everything. I haven’t come across any character in any of her books that aren’t multi-layered. "